Thanksgiving is that special time of year when coming together with friends and family is a treasure. 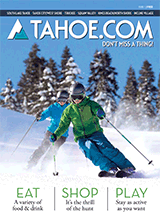 For all of us in Lake Tahoe, Thanksgiving is one of our favorite holidays because the winter-season rush hasn’t quite hit yet and there is still time to cherish our loved ones. If you are in Tahoe for Thanksgiving, it’s certain you are enjoying the crisp mountain air, the falling snowflakes (yay to the snow gods for showing up for the turkey holiday!) and the spinning of chairlifts at some of our ski areas. 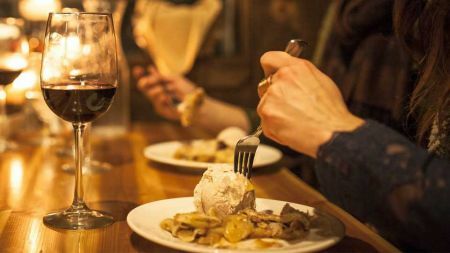 But there is another bonus to enjoying your gobble-gobble time in the Sierra Mountains: Our exceptional restaurants serve up fabulous feasts, making Thanksgiving a simple affair for the entire family. Here’s a list of seven scrumptious options for your Thanksgiving extravaganza. Wishing you a happy, happy Thanksgiving! 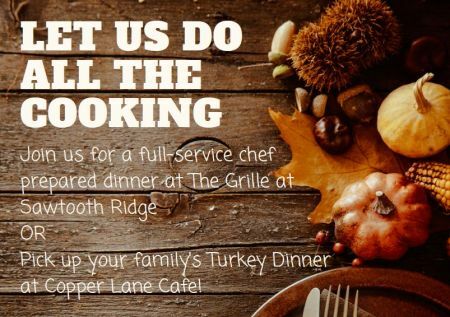 Timbers Restaurant: The Timbers Restaurant at the Lakeside Inn is providing a cost-effective dining option with their Thanksgiving feast. Complete with a first course and main affair, their menu also offers a special cocktail, The Raspberry Mule, as well as three different dessert options, including pumpkin pie, pecan pie and warm bread pudding. Dinner is $14.99 while dishes last, and the event runs from 10:30 a.m. to 10 p.m.
Zephyr Cove: The exquisite Zephyr Cove Restaurant is giving their best shot at a fabulous Thanksgiving feast, with all of the trimmings like turkey, potatoes and stuffing. There will be a full menu of beer and wine available as well. 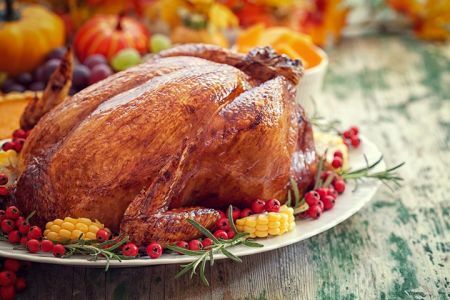 The meal will be served on Thanksgiving day from noon until 8 p.m. Dinner costs $39 for adults and $18 for children. Squaw Valley High Camp: Take your Thanksgiving to lofty heights with Squaw Valley’s holiday affair at High Camp, considered by many to be the eighth wonder of the world. The dinner will be created with locally sourced fresh ingredients and will be served in a buffet style. There will be two seatings, one at noon and another at 3 p.m. There are only 180 tickets sold per seating, so be sure to call ahead for reservations. Kids age 4 and younger eat for free, while children ages 5 to 12 pay $29 and ages 13 and older pay $65.The meal lasts for two hours. Please be sure to be on time. Being late by more than 15 minutes will forfeit your reservation. The Grille at Sawtooth Ridge: For those in Truckee, The Grille at Sawtooth Ridge is a great option. They'll be offering both their full menu as well as Beef Wellington and Turkey Roulade. The atmosphere is certain to be welcoming and full of gratitude. Dinner is offered from 2 to 7 p.m.
Granlibakken: When it comes to a feeling of opulent love, Granlibakken is sure to serve up amazement. Created by their award-winning kitchen staff, the Thanksgiving affair includes a carved turkey table-side plus many accompanying dishes, desserts and vegetarian options. The bonus: You get to take home the leftovers. The meal is served from 2 to 8 p.m. The dinner is a part of enjoying an overnight stay at Granlibakken, but it is available for non-lodge guests as well. Clair Tappaan: If you like a rustic feel to your Thanksgiving enjoyment, try Clair Tappaan Lodge. A beautiful setting that immediately feels welcoming, Clair Tappaan will give you wonderful holiday memories to be treasured for a lifetime. The dinner has one seating at 6 p.m. and costs $20 per person. Ritz-Carlton: For bringing your Thanksgiving to a level of absolute divinity, try the Ritz-Carlton’s offering at the Manzanita. 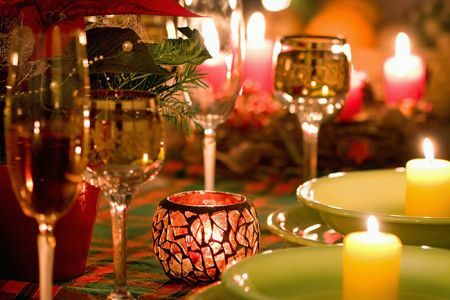 With a full holiday-inspired menu, you are certain to go home feeling grateful. There is a breakfast buffet from 7 a.m. to noon, a lunch menu starting at 11 a.m., and the dinner offering from 3:30 to 8 p.m. Cost for adults is $135 and for children ages 3 to 12 it's $55. Please be sure to visit our Daytime and Nightlife events pages to learn about all the great activities to fill your holidays.